I sometimes have to take a step back and look at the vast range of considerations that go into a typical project. 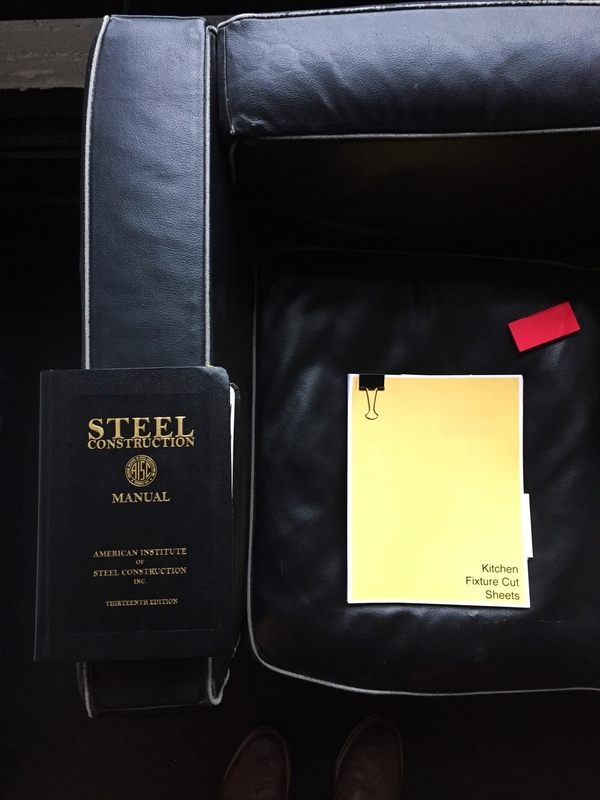 To wit, I took this picture of the office couch and realized the great distance between selecting Kitchen equipment and working with our Structural Engineer in sizing the most efficient beams and columns. Most projects contain a full range of design considerations, besides architectural design and coordination with a range of consultants, interiors need to be designed, equipment selected, and in some cases furniture is selected or designed. The fascinating thing is the amount of time that can pass between the consideration of one (designing the structural framework) and the other (selecting the best fixtures for the project) - and all the decisions that are discussed and made with clients between the two. This is also what ultimately makes this profession so satisfying; the range of issues and challenges each project brings.